Last month I released a new book, or I didn’t release a new book. I’m not sure. I know I didn’t launch anything, not in the usual sense. It exists, of this I’m sure – my editor posted a Facebook picture of a copy on her dining table a day or two ago. But I haven’t held one in my hands yet. 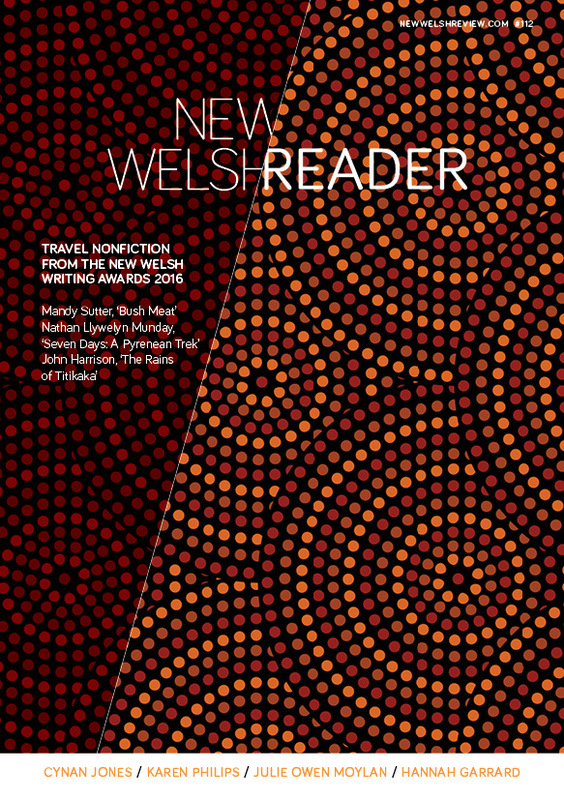 This is one of the many obvious consequences of publishing a book in Wales while living in Siberia. It’s not that I didn’t want to launch it; I’ve been working on this collection since 2009. But it’s poetry, which means there’s not much of a budget. Certainly not for international flights. Not only that but with Russia fast becoming a closed country again my primary concern was that if I was allowed out, would I be able to make it back in again? Plus the fact that when I was looking into flights the rouble was worth half what it was against the pound. One point I see raised often, and one which I agree with is that poems are supposed to have universal appeal, or at least to not only have meaning to their author. 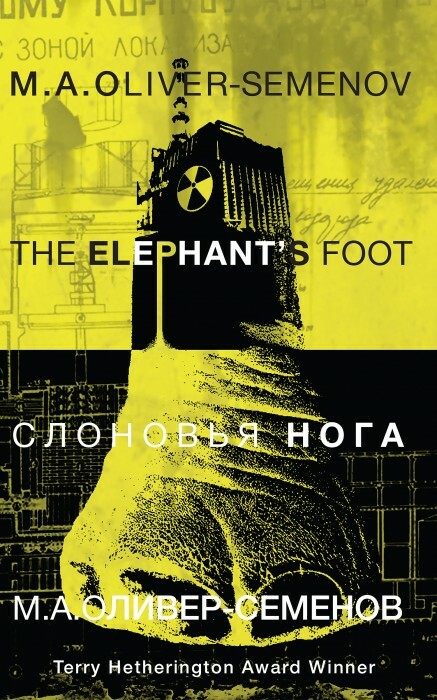 So why has a Welshman written the title poem of The Elephant’s Foot, a poem about the story of Chernobyl? Back in 2012, when I first moved to Russia, I spent many nights online researching my memoir Sunbathing in Siberia (Parthian Books, 2014) while my wife worked nightshifts. There was one particular sleepless night when I came across several Greenpeace reports relating to hushed-up nuclear accidents in Russia, a few of which mentioned Krasnoyarsk, my home city. It took a little more digging to realise they were talking about the secret cities Krasnoyarsk-26 and Krasnoyarsk-45, both of which aren’t very far away. When my wife came home the following morning she had a job of calming me down. There were reports of recently installed water-meters being found to be radioactive in some buildings south of our city. Was ours radioactive also? I was in a panic and needed reassurance. My father-in-law, who keeps a Geiger counter to check that the deer he hunts isn’t going to poison him, promptly came over and gave our apartment a once-over. All was fine of course, but I had developed a new and largely unhealthy obsession with radiation poisoning. Who knew that some granite kitchen surfaces omit levels of radon 10 times higher than background levels? Or that the US fired around 10,000 depleted uranium rounds in Iraq in 2003? My research inevitably led me to the mother of all nuclear accidents: Chernobyl. Many poems have been written about the Chernobyl disaster before, mostly by the diaspora it created or the few remaining irradiated service men who fought in the battle to secure the reactor. But to my knowledge no one has yet written the story of the disaster itself and how it unfolded, not in poetic verse anyway. Of course, there are so many versions. A friend of mine here, who leans toward a nationalist perspective, asked how I could write such a narrative poem when ‘no one really knows what happened’. Of course he wants me to paint a picture of a blameless Soviet Union in which accidents simply happen. In these trying times of West vs East and the New Cold War, there is a terrible trend of history being rewritten. I can’t count the times I’ve heard that ‘Russia won the war against the Germans’ while the British were merely bystanders, or the British losses don’t really count because ‘they were so much fewer than Russia’s’. Not only is it insulting but dangerous. When discussing large potholes or preventable deaths here the most common answer I’m given is, ‘It’s Russia.’ As if that’s a legitimate answer. And it’s sad. It offends me that so many lives were lost but we are not meant to discuss them as ‘no one knows what happened’. To hell with that; a nuclear reactor exploded during a test which shouldn’t have been conducted in the first place and people died. Lots of people died. And my poem ‘The Elephant’s Foot’ is my homage to those people. As it turns out, there will be a launch for The Elephant’s Foot in Wales. I won’t be there, but my good friend and fellow writer Siôn Tomos Owen will be impersonating me on the night, and reading some of the poems. It will be in my former home of Cardiff with some of my favourite things: wine, pizza and fellow poets. And real, physical copies of my book, which you can hold in your hands, will be on sale. Forming part of Parthian’s New Generation Summer Reading Party, the event will also feature short readings from prize winners and emerging authors including Costa Prize winner Jonathan Edwards, Robin Reeves Prize winner Natalie Ann Holborow, Terry Hetherington Award winners Mari Ellis and Christina Thatcher plus other special guests from the forthcoming Cheval and How to Exit a Burning Building prize anthologies of new writers under thirty. Treorchy cartoonist, musician and Pobol y Rhondda presenter Siôn Tomos Owen will also preview poems and fiction from his forthcoming debut Cawl. Parthian’s New Generation Summer Reading Party is at Octavo’s Book Cafe & Wine Bar, West Bute Street, Cardiff Bay CF10 5LJ on Tuesday 26 July, 6-8pm, free entry. The Elephant's Foot is available now, price £8.99.